You spoke, and we listened. This time we have combined the rechargeable LEDlantern with Power Bank into ONE simple cool unit, and it turns out the mostVERSATILE & PROFESSIONAL LED lantern in Amazon. 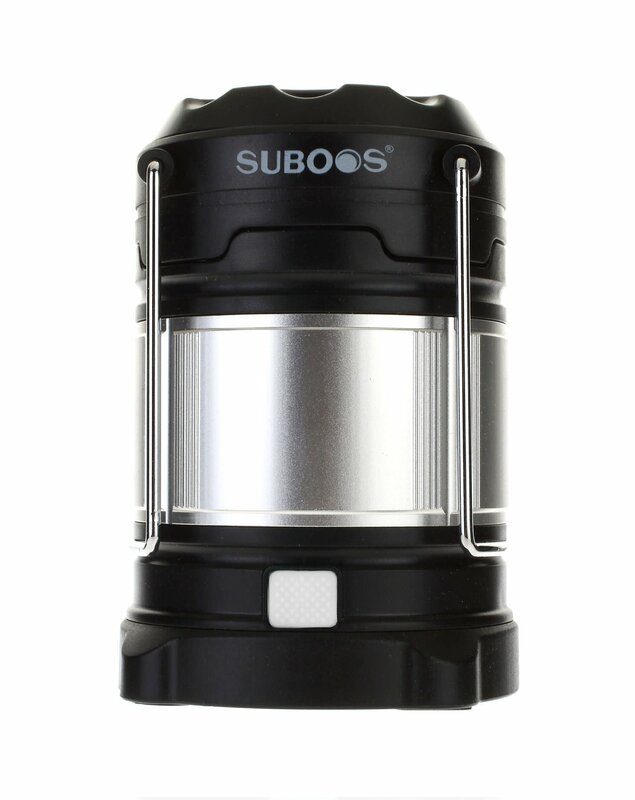 The Unique Dual Power SupplyDesign The rechargeable lantern comes with 2 power options: 2 lithium-ionbattery, each 2600mAh(included) or 3 AA battery (also included), or both powersupply at the same time. So you have the maximum operating time and highflexibility of batteries. Advanced Collapsed Design By pull/push the top toturn it on/off, no bother to find a button in darkness; Small and Light to fitinto your backpack, or put it in your car, workshop, home. Built-in PushButton Dimmer for 4 Light Mode Super Bright: 185 lumens with lighting radiusof 65ft, and Last 4.5 hrs; Soft Bright: 60 lumens, Last 9 hrs; NightVision(Red) : 19 hrs; Red Emergency Flash: 4 Hrs. Built-in Power Bank withUniversal USB input/output Port You can use the Both-Way cord(included) torecharge the lantern with USB output(wall adapter, laptop, car, etc) or usethe lantern to recharge cell phone, tablets with the same cord. Super easylike a breeze. Packing List: 1 x Rechargeable Ultimate LED Camping LanternPower Bank 2 x Rechargeable Li-on(18650) Batteries, each 2600mAh. 3 x AlkalineAA batteries 1 x Universal Micro-USB & USB Recharging Cable 1 x clip (tofacilitate hook hanging) 100% Satisfactory Warranty: 60 days Money Back withANY reason under ANY condition, 5 years product warranty covering productmaterial and workmanship.